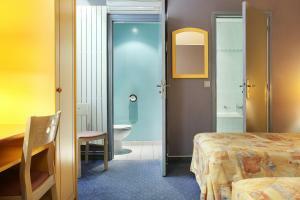 At the hotel the rooms include a desk, a flat-screen TV and a private bathroom. 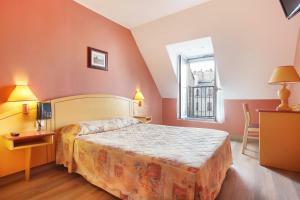 The rooms at Hotel des Carmes have air conditioning and heating. A continental breakfast can be enjoyed in the breakfast area. Extra facilities include a 24-hour front desk and a lounge area. Local points of interest like Opéra Bastille and Orsay Museum are reachable within 1.6 km and 2.1 km, respectively. Tuileries Garden is 2.1 km from the accommodation, while Place de la République is 2.4 km from the property. 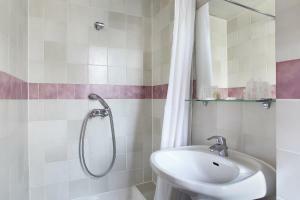 The nearest airport is Paris - Orly Airport, 13 km from the property. This double room has air conditioning and a flat-screen TV. 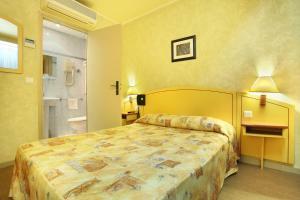 This twin/double room has air conditioning and a flat-screen TV with satellite channels. Rate: € 95.00 ... € 195.00; select dates below to get current rates. This single room features air conditioning and satellite TV. The bathroom has a bathtub.